Hi, for everyone asking questions as to the value of Encyclopaedia Britannica sets, the basic guideline is that the 1st up until the 8th Editions have great collector values, defined by condition. 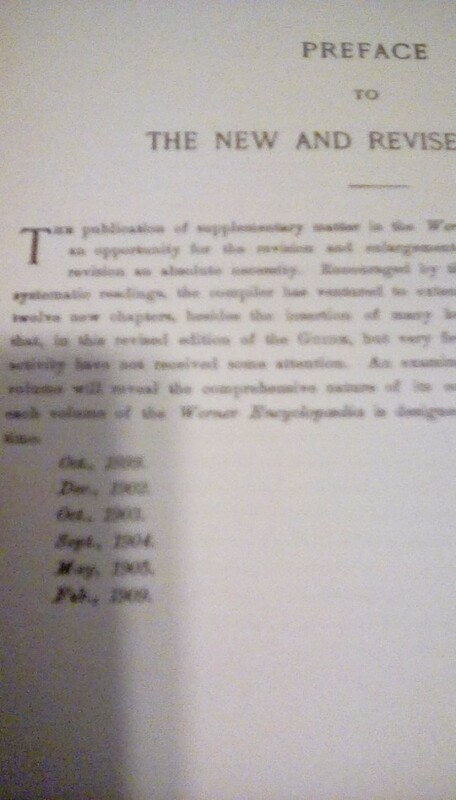 The 9th and 10th Editions are so numerous that they are of small value; up to maybe $3-500 in good condition. Anything after the 11th, 12th, 13th (1910-1928) is basically worthless. 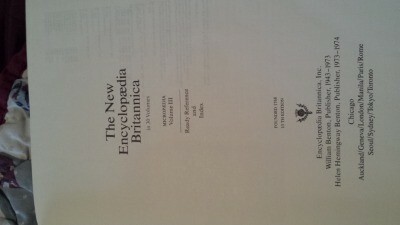 I have a leather bound 30 volume set of the 15th edition Encyclopedia Britannica. I am finding values for the 28 and 32 volume sets but nowhere can I find information on my 30 volume set. Any ideas on its value? 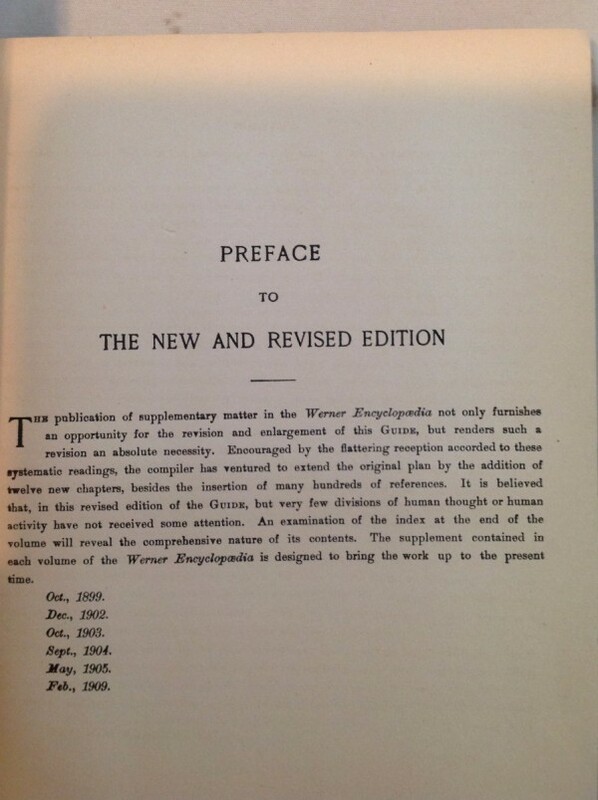 Hi, the 15th Edition was first released in 1985 introduced as a 3 part structure divided into MacropAedia, MicropAedia and Propaedia until 2010 in 32 Volumes. After 2010 the 15th Edition was of course printed until the end of production in 2012. Your so called 30 volume print could well be incomplete. any idea how you go about getting anything for them? you have what - a set, a few, leather or cloth . . . ? Hello I have a unpublished never released revised set of the 9th brittanica.it was the competitor for brittanica during the time hooper and Jackson were battling it out for the 9th brittanica rights.i think jackson was working with werner too but im still investigating.the Werner company was already revising a set.but hooper took saalfield who was running Werner's publishing company 1900 1910 these books are 1908 1910 .the copy filed bankruotsy 1910 with ois when they lost at court and had top pay appleton 2000 dollars and agreed to destroy the book plates and never sell the product.these set has been in family tradiotion the hole time.i just recieved them.would I be able to get like royalty if I sell copy's online.could I do so legally. ?or could I even do anything with such a set. I have an Encyclopedia Britannica, set of 2, dictionaries, 1924, First Edition in excellent shape. Are they worth keeping to sell, or just take them to a recycling center? I have just one Vol. XXVIII MAL-SAR, with the last copyright at 1901 and at the bottom it states The Werner Company, New York Akron, Ohio and Chicago then it has 1902. It also has New American Supplement. It has a tear on the binder about the size of a nickel, little rough at the bottom but is in fairly good shape. All the pages are excellent. How much would this be worth approximately? WRONG. 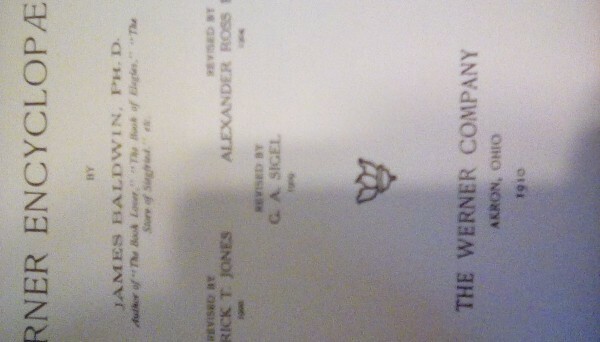 The 11th, leather bound edition is priceless if foundas it is the last pre-war edition printed before terminated. 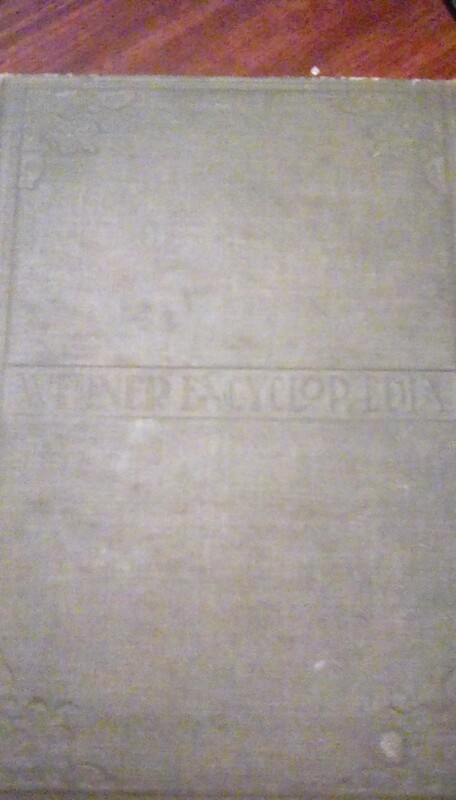 I have a 12 volume set of "New Americanized 1903 Encyclopedia Brittanica" that simply says "Twentieth Century Edition" underneath on the Title page. The copyright page on reverse has only 4 previous dates: 1890, 1896, 1897, and 1899. Does that mean this is the Fifth edition even though it doesn't specifically say so? How can I find the value of the set?